Yesterday morning an errand took me across town. Half a block past the subway station was a new-to-me Value Village. 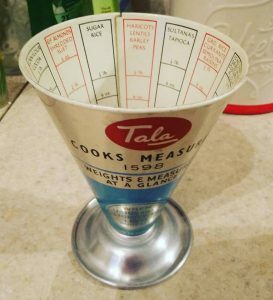 And on a shelf in that Value Village was this 1950s-era Tala Cooks Measure, which I snatched up and bought. 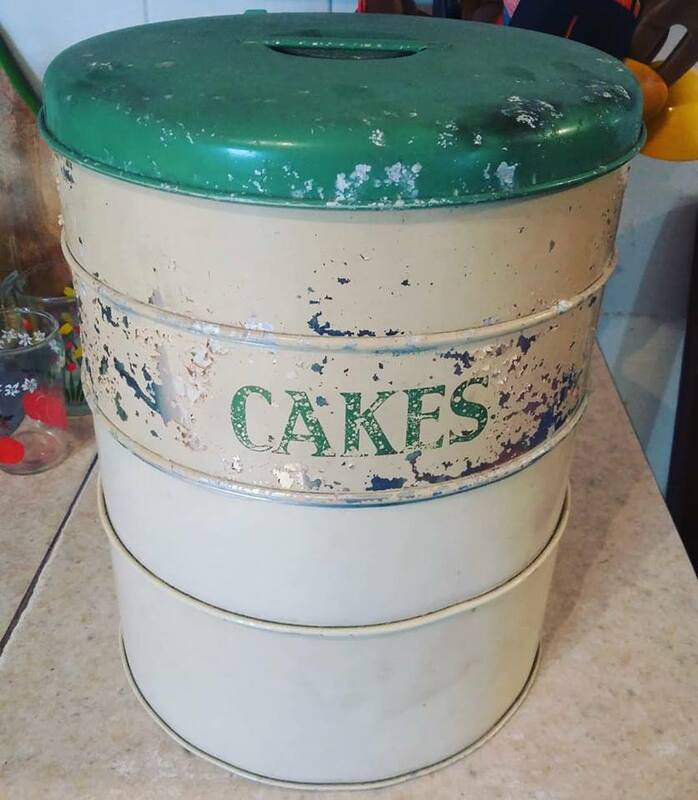 I have been partial to Tala kitchen tools ever since I bought part of a late forties or early fifties cream-and-white multi-tiered cake tin (shown below) from super-cool Toronto vintage emporium mrs huizenga a few years ago, and sourced a few more tiers online. Somewhere in a box in the garage, unless I’ve managed to donate it, is also an old Tala icing set. Established in 1899 (as Taylor Law & Co Ltd), at a time when confectionary-style baking had developed mass appeal in late-Victorian England, Tala has long been a leading supplier of cooking and bakeware supplies. At times in its history it has also reportedly produced gardening tools and even, during wartime, munitions. 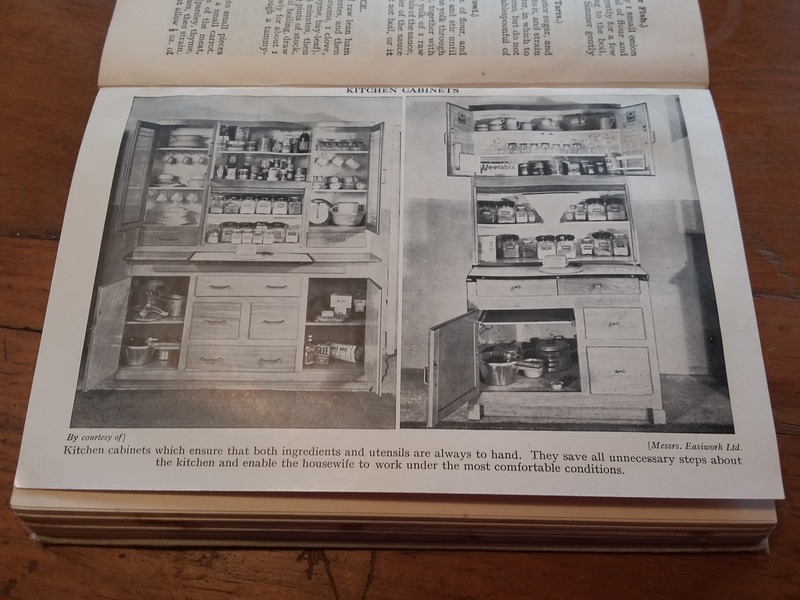 Notably, much of its manufacturing is still done in England, some of it (including delightful retro versions of the Cooks Measure shown above, which Tala supplies to kitchen goods purveyors) using production equipment dating to the 1920s. This makes Tala an iconic British brand, and is testament not only to the endurance of the company through cultural change, war, and corporate buy-outs, but also to the lasting quality of its goods. My Tala Cooks Measure (I am assuming there was a discussion about where to put the apostrophe and that, in the absence of accord, it was decided simply to leave it out) has measurement indicators (for ounces, pounds, pints and cups) for a wide variety of early-to-mid twentieth century cooking staples, including haricots, lentils, barley and peas; sultanas and tapioca; ground rice, currants, and seminola raisins; icing sugar, dried milk, custard and flour; fresh bread crumbs and rolled oats; desiccated coconut; corn flour and cocoa; ground almonds and shredded suet; and sugar and regular rice. The way it works, as I understand it, is that you pour in your choice of dry ingredient that most closely matches the volume characteristics of the choices on the label. It is quite ingenious, actually, and spawned a number of imitators, although Tala’s Cooks Measure remains the best known. 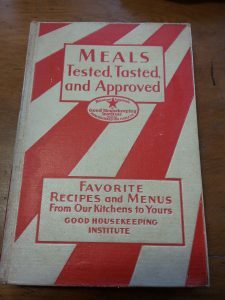 My own cooking preferences tend toward hearty vegetable-based casseroles, but many of the above ingredients feature prominently in older cookbooks. I am tempted to try some of them out just so I can use this cook’s measure … although perhaps not tapioca pudding. Or anything involving shredded suet. 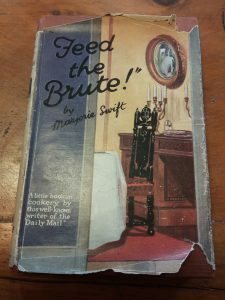 Speaking of early twentieth century coking ingredients, below are a few of my favourite early-to-mid twentieth century cookbooks, probably all of which have a tapioca pudding recipe somewhere within their pages. 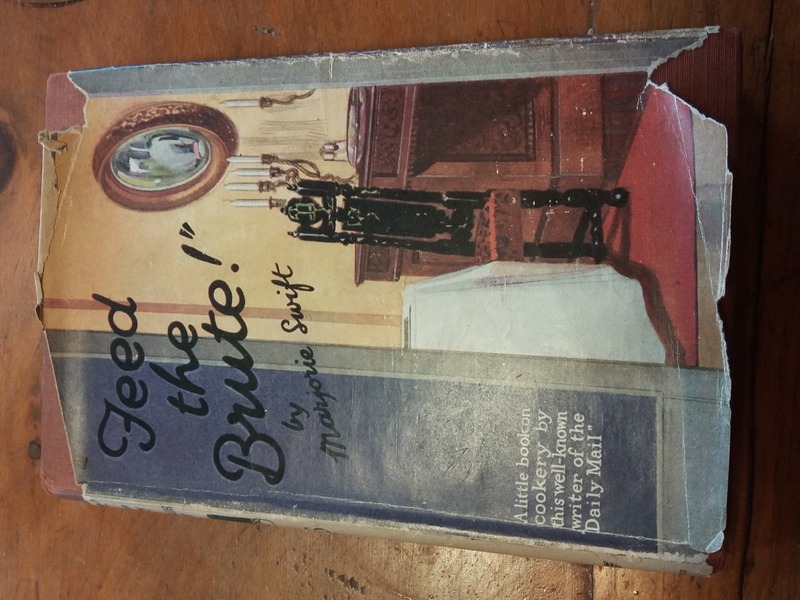 Feed the Brute! by Marjorie Swift, 1925. 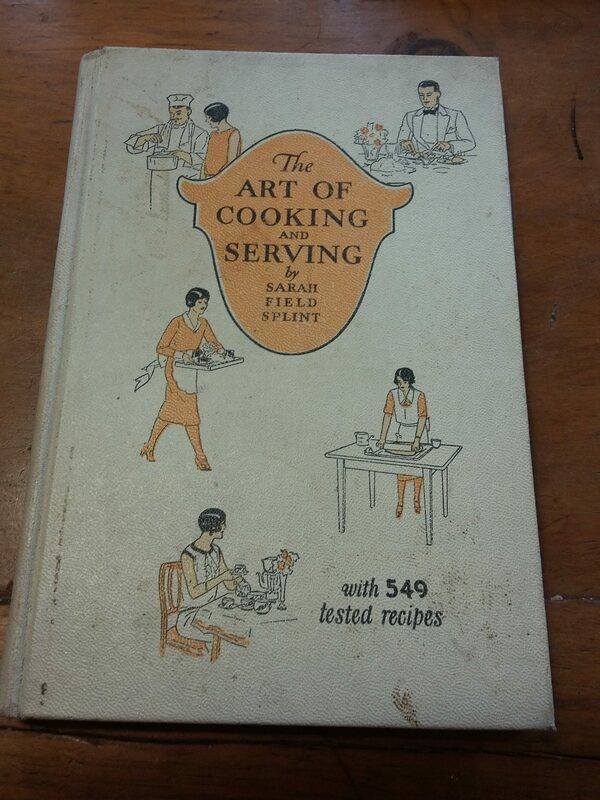 The Art of Cooking and Serving, by Sarah Field Splint. Proctor & Gamble, 1930. 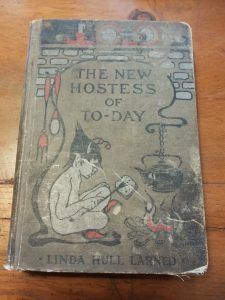 The New Hostess of To-Day, by Linda Hull Larned; illustrations by Mary Cowles Clark. McClelland & Goodchild, 1913. MEALS Tested, Tasted, and Approved. Good Housekeeping Institute, 1930. 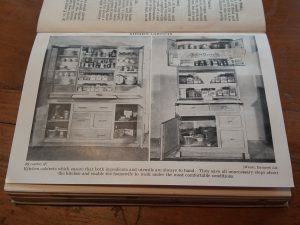 “Kitchen Cabinets” illustration from Mrs. Beeton’s Cookery, edition circa 1932.